Version 3.0.5 is primarily a security and bug fix release, and contains one new feature. It is available on the Downloads page of this website. This version 3.0.5 of Revive Adserver addresses a moderate security issue, which has been identified by the project team recently on the basis of reports about OpenX Source v2.8. 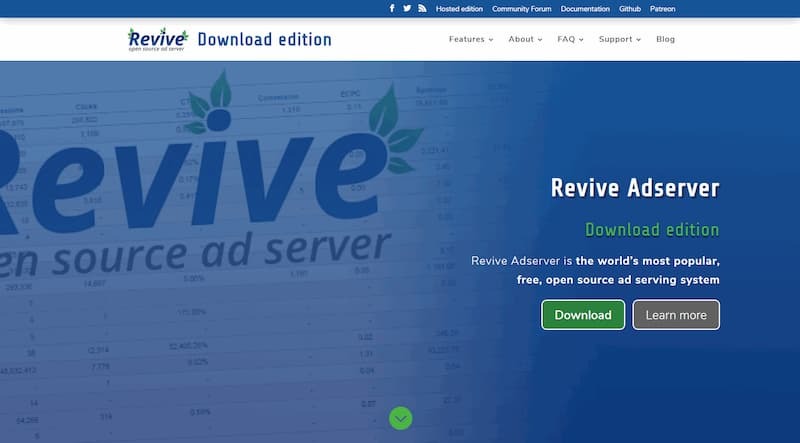 We recommend users to upgrade to the most recent version 3.0.5 of Revive Adserver. This also includes any user running any version of OpenX Source or older versions of the application, which may also be vulnerable. An error message is now displayed when trying to install or upgrade Revive Adserver with unsupported PHP 5.4/5.5 versions (< 5.4.20 or < 5.5.2). Fixed bad translation in the Russian language translation. Fixed history statistics screens to prevent displaying future dates when showing “All statistics”. Fixed broken “DeliveryDataPrepare:dataPageInfo” and “DeliveryDataPrepare:dataUserAgent” components of the standard delivery logging plugin. Added proper Content-Type header with charset to some scripts in order to override the webserver default. Changed a few occurrences of the non-existing “Content-Size” header to “Content-Length”. Switched a few deprecated “ereg” calls to “preg” in PEAR libraries. Version 3.0.5 is available on the Downloads page of this website. We also have detailed instructions for installation of the software or for upgrading from an older version. Please be sure to check the technical requirements first. If you need help, please visit the Revive Adserver Community Forums.